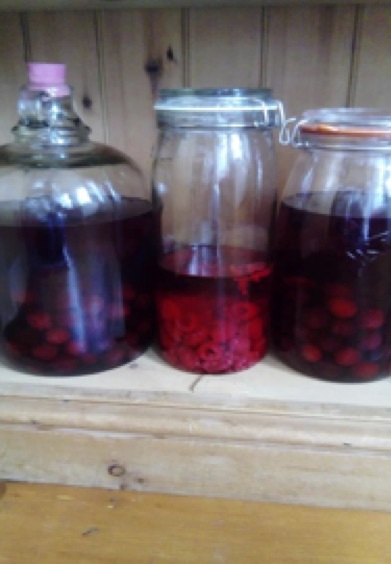 With Autumn just around the corner, and inspired by the plethora of gins for sampling at last weekend Nourish Festival in Bovey Tracey, (that’s not easy to say if you’ve done lots of sampling), I am delighted to announce that I now have one raspberry gin and two big Damson gins infusing in the cupboard. The good news is that the raspberry gin will be ready in two weeks, so if we have that Indian summer we’ve been promised, it will be a perfect summer tipple to have in the garden, over ice, with tonic and a raspberry on top. This is the first year that I’ve had a fruit cage – who knew that I could get so much excitement from something you can buy in a seed catalogue? It works! Saved from the birds, the raspberry bushes have surpassed themselves, and it looks like we’re also having raspberry jam on the breakfast table for a while. The Damson gin is allegedly for Christmas presents…..but nothing quite beats a warming glass in front of a roaring fire when it’s cold. 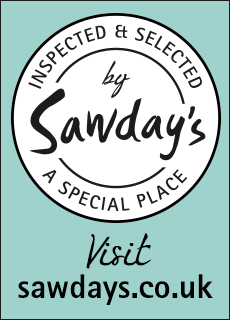 Maybe we’ll just keep one bottle for ourselves, purely for sampling after a bracing walk on Dartmoor. Traditionally, sloes or slones as they are known locally, (as in “ow be the slones doin?”) should be harvested after the first frost, and seeing as it’s made with water from the moor, Plymouth Gin would be a purist’s choice. The question is do we really need sloe gin as well? Silly question.